It is often necessary for me to define certain unfamiliar words that are not common in everyday usage, so that my readers would understand the context in which they are used in my articles. The operative word here is empowerment, which literally means the ability to have control over yourself or circumstances. This ability is obtained by the conferment of authority, capacity-building or what I may call an enablement. What makes you empowered is the capacity-building, which is usually achieved through education, income streams, savings, investment, high-paying jobs or positions, etc. There are several tangible and intangible assets like skill, talent, training or special endowments that empower you. Empowerment comes in diverse ways like being born into a royal, famous or powerful family. Someone born into wealth is automatically empowered, as those who win a lottery, a spectacular laurel or prize money. If someone is from a royal, powerful, wealthy or great family, they become empowered because of that relationship. Shakespeare put it succinctly when he wrote: “Some are born great, some acquire greatness, while some have greatness thrust upon them.” Whatever the case, if you are great, you are empowered. Anything you have that enhances or adds value to you in any way automatically empowers you. This is why personal development is so important. It is the more reason why the bulk of my essays focus on this subject: empowerment. Having a driver’s license, travel passport, an American Green Card, a university degree, luxury vehicle, apartment, a yacht, a private jet, membership of a high-profile organisation like Rotary, Lions Club, chambers of commerce or a political party constitutes building blocks of empowerment. If you are of average means and status but are lucky to be friends with a powerful, wealthy or influential individual, you are empowered. You can leverage on these relationships. Social and intangible assets like relationships have to be properly managed to yield dividends. There are people who don’t understand social engineering, and so mess up highly-valued relationships. You may be friends with an important or powerful individual, but if you go about dropping their name or get caught in activities that smear your character, you become a liability to that personage. If the relationship is terminated, you automatically lose valued social capital, which is a form of disempowerment. If you have an invalid driver’s license or expired passport, they have to be renewed, otherwise you could offend the law if you present them to a law officer on demand. Such documents are worthless if not regularised. Academic qualifications and membership of clubs or other organisations have to be updated or renewed to be of any worth, otherwise the owner cannot present such assets to gain any advantage. Even friends have to be current and well-serviced to be of any real value or they expire. You have to also improve the quality of your assets, affiliations, including marriage, and skill, to be empowered at a high level that is comparable to your peers. It is not enough to be empowered, you must be of the highest capacity in your profession or class. Always strive to be in the First 11, if a Top Five rating is not possible in your field. Build a powerful brand for yourself. Exude positive energy and dynamism that is the envy of others. Make yourself a reference point by being ahead of the pack. 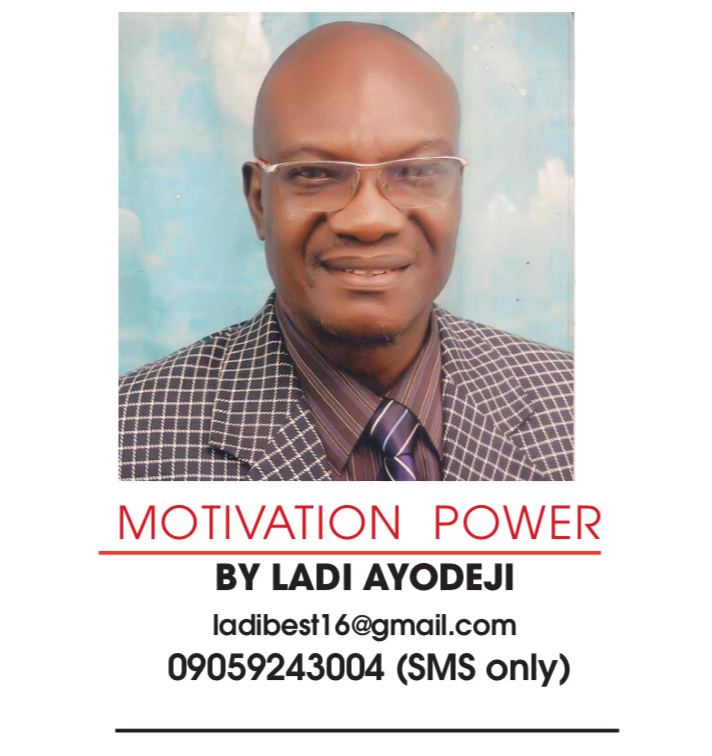 Empowerment enables you to fend off all the negatives you may encounter in life, be it in marriage, profession, calling, business or politics, whatever it is. You can easily weather storms that ordinarily destroy others, if you are duly empowered. Building capacity toward empowerment starts from childhood. The quality of prenatal care you give the child right there in the womb matters a lot. It can determine the quality of the baby. A well-nourished baby is already endowed with a solid, healthy foundation. If the child is nurtured all through childhood to adulthood, you have given that child sound health, which is the greatest investment anyone can have. All other aspect of capacity-building such as self-education, grooming, cash, exposure and skill acquisition are built on the foundation of sound health. You should also know your God and worship Him. That is the greatest empowerment anyone can ever have. In fact, total empowerment is given by the Holy Spirit. That’s what the Bible teaches. Since the Bible is my rule of faith, I cannot but recommend it to you. There’s another dimension of empowerment, which is spiritual and of far greater importance than material empowerment that people are usually after all their lives. Most people think that all there is to life is money, and other material things associated with success, that is not true. Empowerment by the Holy Spirit comes with knowledge of God and the understanding that it is the main duty of man to worship and obey Him. For, as far as we are concerned, we Christians believe that true empowerment comes with the infilling of the Holy Spirit. Spiritual power takes superintendence over material empowerment. This is because it resides in your spirit even after your body has died and decayed. My final admonition is, by all means, be empowered materially in a legitimate way, and cap it up with spiritual empowerment of the Spirit of the Living God. Ok folks, let’s do it again next Friday. Stay motivated. On top of the situation?